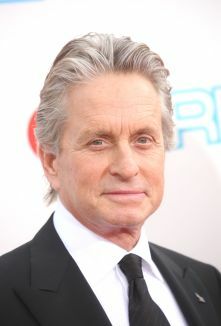 Major star and producer, and member of one of Hollywood's most prominent families to boot, Michael Douglas was born to movie icon Kirk Douglas and British actress Diana Dill on September 25, 1944, in New Brunswick, NJ. From the age of eight he was raised in Connecticut by his mother and a stepfather, but spent time with his father during vacations from military school. It was while on location with his father that the young Douglas began learning about filmmaking. In 1962, he worked as an assistant director on Lonely Are the Brave, and was so taken with the cinema that he passed up the opportunity to study at Yale for that of studying drama at the University of California at Santa Barbara. At one point he and actor/director/producer Danny De Vito roomed together, and have remained friends ever since. Douglas also studied drama in New York for a while, and made his film debut as an actor playing a pacifist hippie draft evader who decides to fight in Vietnam in Hail Hero! (1969). He appeared in several more dramas, notably Summertree (1971). In 1972, he was cast as volatile rookie police inspector Steve Keller on The Streets of San Francisco. Douglas appeared in the series and occasionally directed episodes of it through 1976. In 1975, Douglas became one of the hottest producers in Tinseltown when he produced Milos Forman's tour de force adaptation of Ken Kesey's One Flew Over the Cuckoo's Nest, which starred Jack Nicholson in one of his best roles. Originally, Douglas' father Kirk owned the film rights to the story. Having appeared in the Broadway version, the elder Douglas had wanted to star in a film adaptation for years, but had no luck getting it produced. The younger Douglas persuaded his father to sell him the rights and give up the notion of starring in the film. 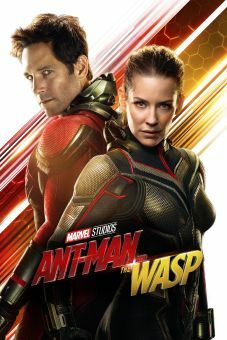 The result: a box-office smash that earned five Oscars, including Best Picture. After this triumph, Douglas resumed acting and began developing his screen persona. His was a decidedly paradoxical persona: though ruggedly handsome with an honest, emotive face reminiscent of his father's, onscreen Douglas retained an oily quality that was unusual in someone possessing such physical characteristics. He became known for characters that were sensitive yet arrogant and had something of a bad-boy quality. Through the '70s, Douglas appeared in more films, most notably The China Syndrome, which he also produced. In 1984, Douglas teamed with Kathleen Turner to appear in Romancing the Stone, an offbeat romantic adventure in the vein of Indiana Jones. Co-starring old friend Danny De Vito, it was a major box-office hit and revitalized Douglas' acting career, which had started to flag. Turner, Douglas and De Vito re-teamed the following year for an equally entertaining sequel, The Jewel of the Nile. It was in 1987 that Douglas played one of his landmark roles, that of a reprehensible yuppie who pays a terrible price for a moment's weakness with the mentally unbalanced Glenn Close in the runaway hit Fatal Attraction. The performance marked Douglas' entrance into edgier roles, and that same year he played an amoral corporate raider in Oliver Stone's Wall Street, for which he earned his first Oscar as an actor. In 1989, Douglas reunited with Kathleen Turner to appear in Danny De Vito's War of the Roses, one of the darkest ever celluloid glances at marital breakdown. By the end of the decade, Douglas had become one of Hollywood's most in-demand and highly paid stars. Douglas found success exploring the darker realms of his persona in Black Rain (1989) and the notorious Basic Instinct (1992). One of his darkest and most repugnantly intriguing roles came in 1993's Falling Down, in which he played an average Joe driven to cope with his powerlessness through acts of horrible violence. In 1995, Douglas lightened up to play a lonely, widowed president in The American President, and returned to adventure with 1996's box-office bomb The Ghost and the Darkness. 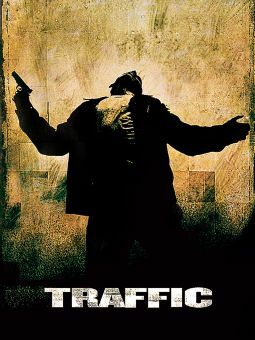 In 1997 he appeared in the David Fincher thriller The Game, and followed that with another behind-the-scenes role, this time as executive producer for the John Travolta/Nicholas Cage thriller Face/Off. Returning to acting in 1998, Douglas starred with Gwyneth Paltrow in A Perfect Murder, a remake of Hitchcock's classic Dial M for Murder. As the new millenium rolled in, Douglas remained a force on screen, most memorably in films like the critically acclaimed Wonder Boys, and Steven Soderbergh's drug-war epic Traffic -- a critical and box office smash. Douglas had other life successes as well, such as his marriage to longtime girlfriend Catherine Zeta-Jones in 2000, and the birth of their subsuquent children. Around this time, Douglas formed a new production company, Further Films. which saw its first wide release in 2001 with the ensemble comedy One Night at McCool's. In 2003 he made It Runs in the Family, a comedy concerning three generations of a dysfunctional family attempting to reconcile their longtime differences. Fiction reflected reality in the film due to the involvement of father Kirk and son Cameron portraying, conveniently enough, Michael's father and son respectively. The 2010's would see Douglas playing roles in films like The Sentinel , King of California, You, Me and Dupree, and the long awaited sequel Wall Street: Money Never Sleeps. In 2013, he played Liberace in the HBO TV movie Behind the Candelabra, which earned Douglas an Emmy award. Roomed with actor Danny DeVito in New York City before landing his first big-screen starring role in 1969 drama Hail, Hero! 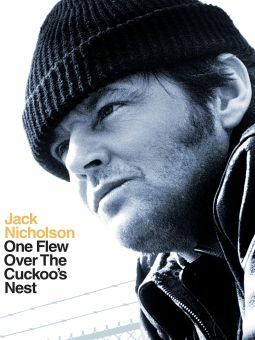 Took ownership of the motion-picture rights for the novel One Flew Over the Cuckoo's Nest after his father, Kirk, tried unsuccessfully for more than a decade to get the movie made; the film went on to win the Oscar for best picture. Was injured in a skiing accident in 1980 that left him unable to work for three years. Named a United Nations Messenger of Peace in 1998, with a mandate to focus worldwide attention on nuclear disarmament and human rights. Met his second wife, actor Catherine Zeta-Jones, at the 1998 Deauville Film Festival in France, where she was promoting her first major movie, The Mask of Zorro. Took over as the announcer of NBC Nightly News in 2007. Underwent successful treatment for tongue cancer in 2010.